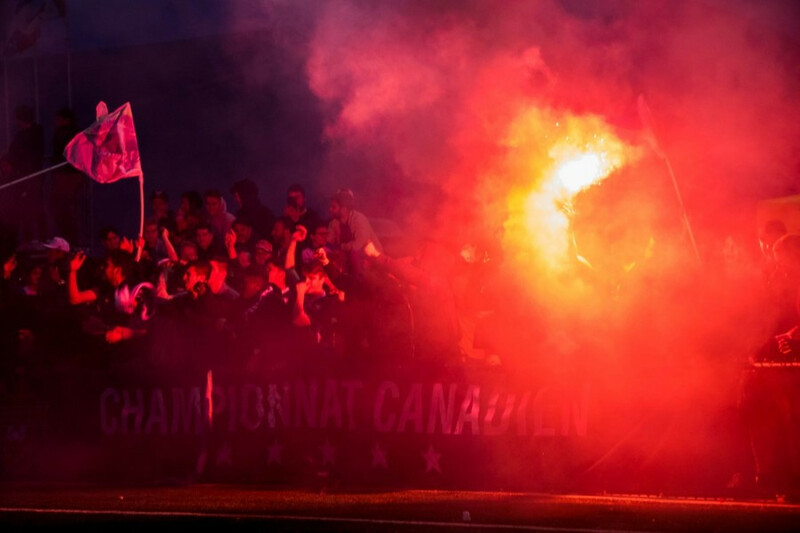 After beating League1 Ontario’s Oakville Blue Devils, Association de Soccer de Blainville will now turn their attention to a new challenge, as they prepare to face the Ottawa Fury in the second round of the Canadian Championships. The defending Première Ligue de soccer du Québec champions will host the United Soccer League’s Ottawa Fury in the first match of a two leg series, at Stade Desjardins in Laval. Ahead of hosting the USL representatives, AS Blainville remains relaxed. “At training we were serene and relaxed and there is no reason to feel otherwise,” said Blainville head coach Emmanuel Macagno. Blainville remain undefeated this season in the PLSQ and the Canadian Championships with a 6-3-0 record, while their USL counterparts have endured a rocky start to their season, sitting in 12th place with a 4-3-6 record. Despite Ottawa’s difficulties in the league, playing in a higher caliber league combined their experience in the Canadian Championships makes them the favourites to win this matchup. “It’s the biggest game of [Ottawa’s] season. They don’t have good results in USL, so we know they will be ready, but we will be ready [as well]. It’s going to be a hard game for us too,” said Blainville midfielder Nazim Belguendouz. “I think he could have noted more players too,” said Macagno. Offence will be a challenging task for Blainville according Macagno. He said that Ottawa’s style of play makes it so that they are strong defensively. Last month saw Ottawa keep six cleansheets in six games. Belguendouz expects Blainville will have a lot of defending to do as well, but will not hesitate to take the game to Ottawa when the opportunity presents itself and remain confident that they can earn a positive result at home. “It’s gonna be the most important match in Blainville’s history […] we have to be concentrated on the game and stay focused on the field,” said Belguendouz.